How many kids you have: I have 2 amazing boys. Ethan who is almost 7 and Elliott who just turned 4. One thing you love you about our MRTT chapter: Support. Never be intimidated. We’ve all started somewhere and had to take that first step. There are so many supportive, positive members on this page. We are here to support and encourage each other to be the best we can be! When did you start running consistently? I started running consistently in November of 2013. At that time I would only run in the dark and I would not leave to confines of my neighborhood in fear of being seen! I couldn’t run for 30 seconds without gasping for air and seeing stars. My first run in public was the Millennium Mile 2 months later. My goal at that time was to run the whole race without walking. Mission was accomplished! Where is your favorite place to run/workout? I love to run anywhere my friends are. I’m most comfortable in the streets of Manchester but I’m always open to new areas. There are so many places to explore! 4 Do you have a favorite race? If not, what is on your bucket list? So many to mention! How about my top 5?! What is your current running/fitness goal? My current fitness goal is to include cross training in my schedule. This has never been a strength of mine. I don’t like going to the gym and scheduling is always hard to fit in with family time. With this I’m hoping to increase my strength and speed to accomplish my running goal of a sub 30 minute 5k and a sub 2:30 1/2 Marathon. Why do you run? I run because I’m amazed that I can. In high school I quit varsity volleyball because the coach wanted us to run a mile. 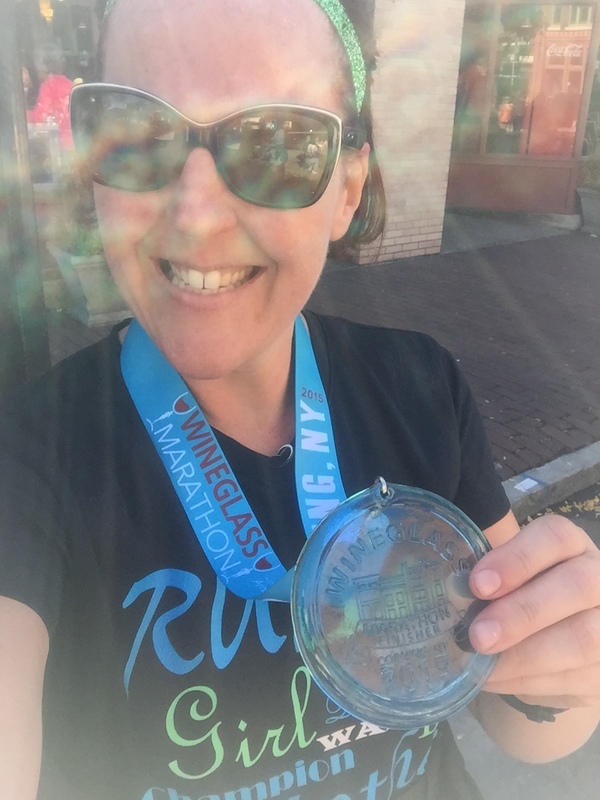 I had always been in awe of runners and thought “I could never do that.” But I can! And now I do! I may not be the fastest but I can run for miles! For once in my life I am active. It also replaced my previous hobby which was shopping at Target although I’m realizing that running could be more pricey. Running has brought me is amazing friends. The best friends anyone could ever ask for. Who do you love to run with? My amazing friends who are so encouraging and challenge me to do more then I ever thought possible. They are sneaky and draw me right in with a smile and twinkle in their eye… I swear they have put a spell on me… “Look into my eyes… Do you want to run a marathon?” Sure, why not! (Really, I just agreed to run a marathon?). I also love to meet and run with new members. The first group run is always the hardest and we’ve all been there. But that’s when you realize how supportive the group is and how much fun we have!